Designing and delivering exquisitel cafeteria furniture. In order to fulfill the different requirements of our valuable clients, we are able to offer a wide range to our customers. 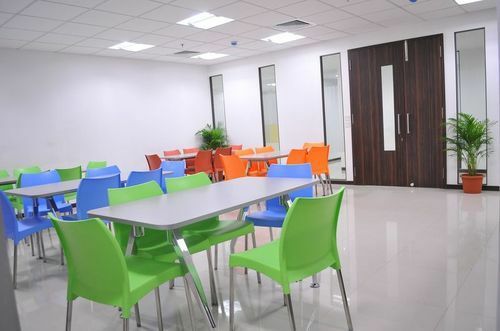 We manufacture cafeteria Furniturers by our experts by using quality assured material and the best tools in accordance with the set norms of the market. We make easy for our customer to take this cafeteria furniture from us on various customized options at affordable rates. Royal Furniturers proudly says that, we gained a value among customers for its enhanced durability.